🇸🇦Saudi became First Country to Grant Citizenship to a Robot. 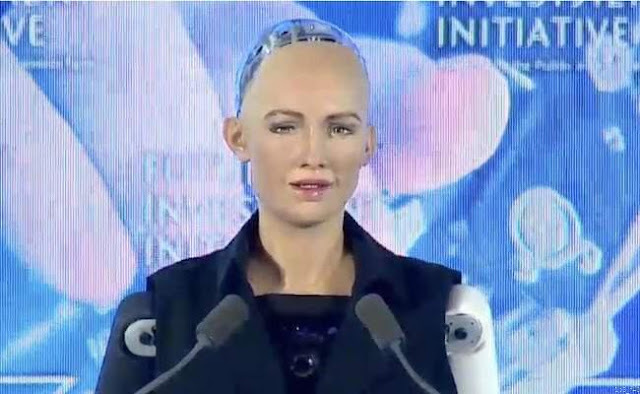 Sophia, a robot designed by Hong Kong company Hanson Robotics, gave a presentation that demonstrated her capacity for human expression. Sophia made global headlines when she was granted Saudi citizenship, make the kingdom the first country in the world to offer its citizenship to a robot. “I want to live and work with humans so I need to express the emotions to understand humans and build trust with people,” she said in an exchange with moderator Andrew Ross Sorkin.